Windows has useful and powerful shells, and I use them when I need to work on that OS, but I prefer to work in bash. I make use of simple, but elegant installation applications, most notably Apt and PacMan – depending on which of my two preferred distros I have installed. I can install simple, but powerful tools to pull out information about my system’s operation and performance. 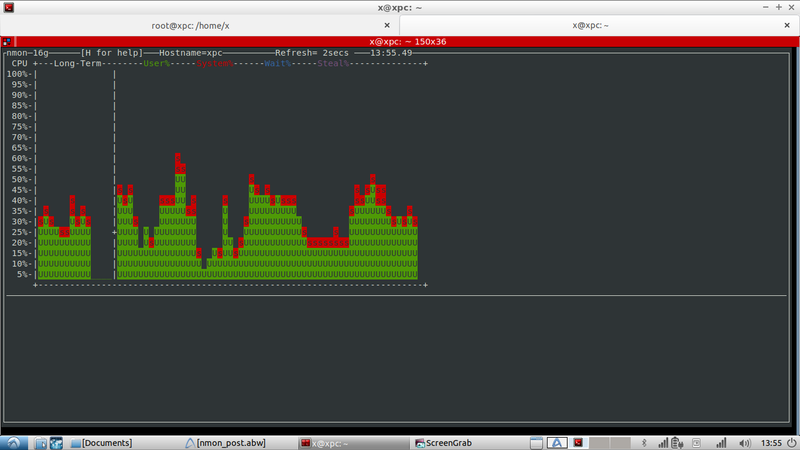 One of my goto tools is nmon. 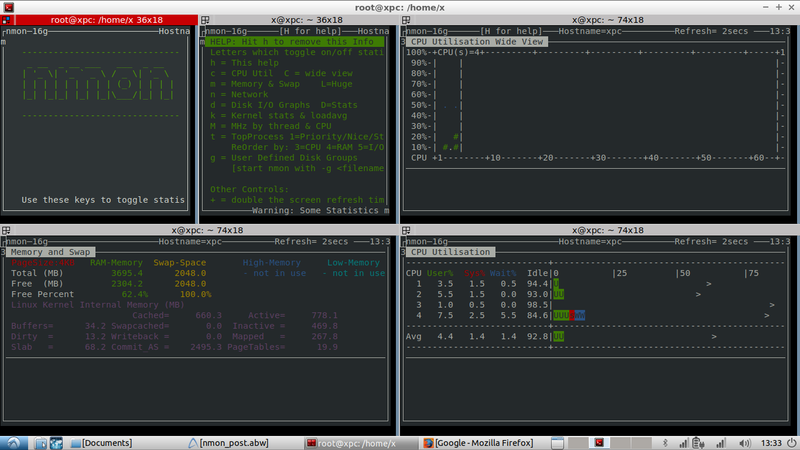 (Nigel’s performance Monitor for Linux) – originally used by IBM and released as open source in 2009. I wouldn’t categorize “nmon” as old school, but it sure has that vibe going on. 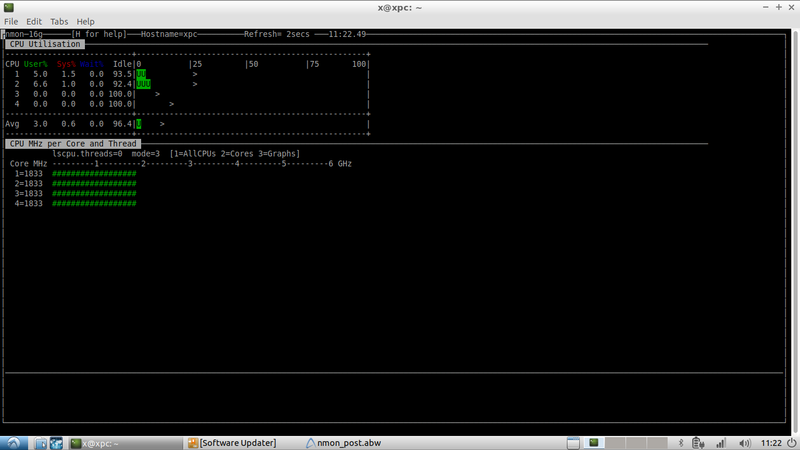 Anything I can run in a terminal from a command line to see what is not always obvious is useful. The ability to export the data it gathers as .csv to use in a graph or for use in analyses applications is sometimes overlooked by casual users – but it’s available. I don’t use the export function, but I expect that it might be beneficial in some situations. 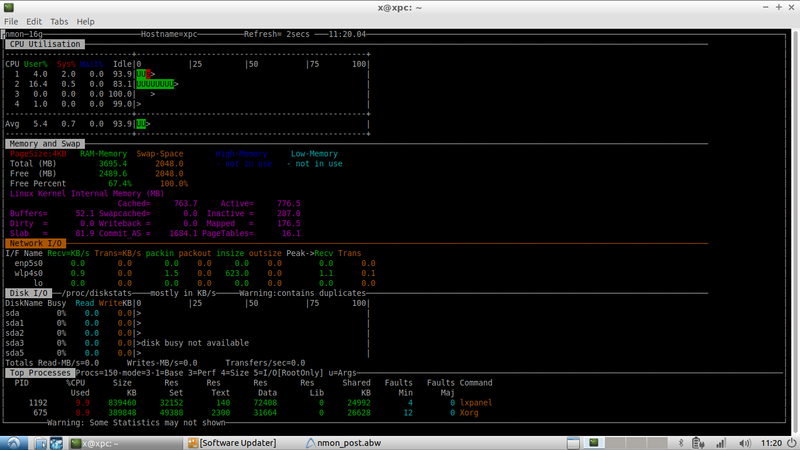 I mostly use nmon in the “Interactive mode” Just a quick glance at some of the output screens presents you with a lot of useful performance information. don’t just glance at the data – really look at what it’s telling you, and if you don’t understand what you’re looking at – then look it up and find out what you may be missing. I find the info useful and sometimes will set up multiple terminals using Terminator. 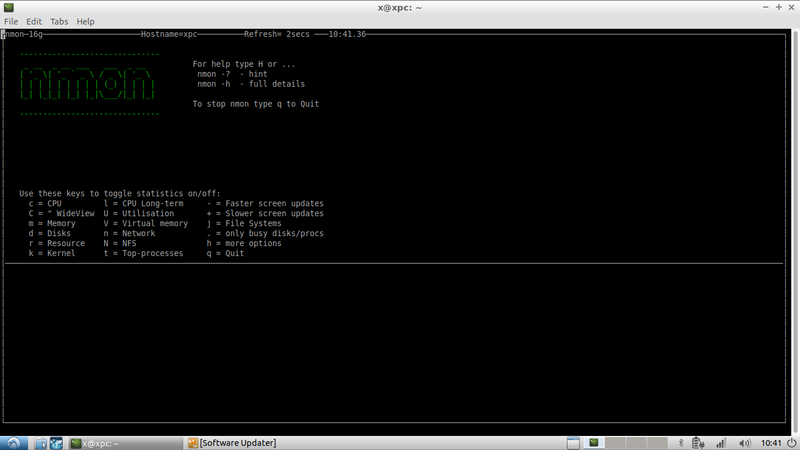 You may find NMON useful, and a good tool to see what’s going on behind the scenes on your LINUX system.